We Are A Roofing Company And Provide Replacement And Repairs Of Asphalt Shingle Roofs. Asphalt shingle roofing is the most popular form of roofing in the US. In fact, four out of five homes have asphalt shingle roofs. Asphalt shingles can be cost effective and vary from 20 years to life for expectancy depending on the grade and weight you choose. Let us help you choose the right asphalt shingle tile for your budget. They come in a variety of selection, quality and price range. Take your time to view the sample tiles below or call us for more information and schedule an appointment. 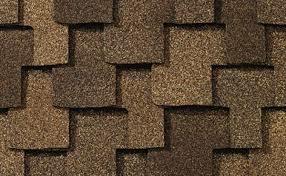 Asphalt shingle roofs available are 3-tab, architectural/dimensional, designer, and Class IV Impact rating. We are not obligated to one manufacturer so we can provide a variety of makes and brands available to you. These are the lightest weight and lowest wind rating of the asphalt shingles. If you own a 2-story home you may want to consider something higher in wind rating because of the exposure to wind compared to a 1 story home where the roof has less exposure to wind. Any home sitting on a hill with no barrier protection, albeit 1 or 2 story, needs to have a heavier weight shingle with a higher wind rating. These shingles are the first level with enough weight (2.2 lb/sqft) and adhesion to have the wind rating for constant wind exposed roofs. 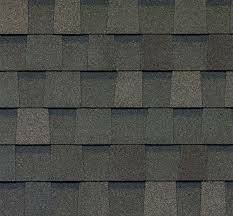 These are [laminated] staggered layers of shingles with a “dragon tooth” [architectural] cut on the top layer that gives it a [dimensional] look. Wind ratings vary from 110-130 mph. This is the most common asphalt shingle used in today’s new construction homes. 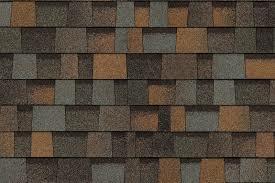 These shingles can be single or double laminated, have a high wind rating, and vary in weight. These shingles are the most expensive but have a wide range of prices depending on shape, weight, and installation difficulty. 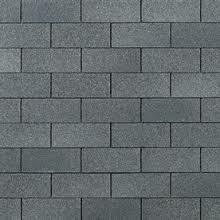 These shingles can be diamond, uniform slate, random size slate, and scalloped shape. The pricing will vary so this can be a time consuming decision if this is what you are looking for in a shingle. These chemically modified asphalt shingles vary in look and shape and are UL 2218 approved so you can get a discount on your homeowners insurance. The typical discount is 15% to 25% but can vary depending on the coverage choices of each individual’s insurance policy and company. The UL 2218 approval is an Underwriters Laboratory (UL) test passed to prove the shingle will withstand a certain amount of impact (i.e. Hail) and still function properly as a roof system. These shingles also have a high wind rating and are priced somewhere between your most expensive designer shingles and the laminated/architectural/dimensional shingles.